Nottingham Cleaners specialise in all House Cleaning, Domestic and Property Cleaning Services in Nottingham. Click here to call Nottingham Cleaning Solutions. Our Professional cleaners in Nottingham have a house cleaning service with prices that are incredible value for money. We employ no agency workers and expect all our cleaners to be polite and courteous. We conduct comprehensive vetting and background checks on all our staff for your peace of mind. What to expect from our professional cleaning services in Nottingham? 3. Our End of Tenancy Cleaning Services Nottingham is a particular specialty, as the only thing that you want to concentrate on is getting a new tenant in to the property. Let us make that possible for you with our moving out cleaning services in Nottingham, that will leave your property looking fresh for new tenants to look around and want. Letting Agencies, private property owners and tenants can make life a whole lot easier, by allowing Nottingham Cleaning Service to deal with the cleaning. We work with many agents and know the standards that are expected. Whether you are moving out/into rented accommodation or are selling your home, we will leave the property in the best possible condition. All our staff are CRB checked and regularly referenced. What can you expect from the Nottingham End of Tenany Cleans? Landlords. We make sure the property is immaculate for the next tenants. We know how to make a property look its best and can include oven, carpet or upholstery cleaning. We can de-grease surfaces and tiles; clean kitchen cabinets inside and out; clean all white goods and ensure the bathroom is sparkling and limescale free. Regardless of size, we work in an extremely disciplined manner, ensuring all the fine details are covered. We also provide a key pick-up/drop-off service. Tenants. We cover all aspects of cleaning to spare you the stress and to ensure that your bond is fully returned. We can even include oven, carpet, upholstery and window cleaning as required. Nottingham Cleaning Service also employ a handyman for any odd jobs, to help with the successful return of your deposit. We will ensure that your landlord/letting agent will be happy with how you have maintained the property. Contact Nottingham Cleaning Service today on 0115 824 2700 to discuss your needs. Or submit the FREE quote form on the right of the page. We can send one of our experienced managers to give you a precise quote. 4. Your own personal cleaner. You will be assigned your own personal uniformed cleaner who will have been fully trained, insured, referenced and vetted. Our staff are regularly monitored. 5. Personalised Service. We supply all areas of Nottingham with highly qualified domestic cleaners. We only use fragrance-free, eco-friendly and pet-friendly products. Laundry, ironing and bed changing can be included for an extra charge. 7. We offer a competitively priced residential cleaning services in Nottingham. 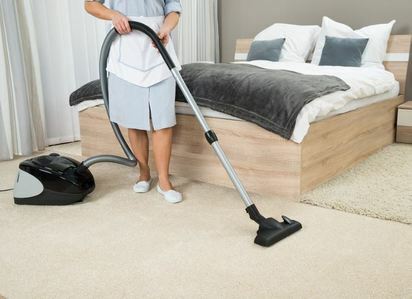 When asked what cleaning services are offered in Nottingham, or how much do cleaning services cost, our answer is whatever you are after cleaning, and dependent on the length it will take. We'll need to ask a couple questions before we can give you an accurate cleaning service quotation. 8. Our ​Nottingham professional cleaners will handle all of your window cleaning including any unique windows that are so often a part of aged buildings. In addition, we clean all flooring with care while cleaning it no matter whether it’s carpet, wood, tile, etc. This again saves you a lot of money as you’re aware it’s one of the most expensive purchases for landlords and Apartment owners. Nottingham Property Cleaners specialise in all Property Cleaning for Landlords and Tenants. ​Click here to call Nottingham Cleaners. ​Whether you’re buying or selling a property, Nottingham Cleaning Solutions can help. We have helped many property owners, whether it be leaving or settling into your new home, we can be there for you! Nottingham Property Cleaning Services that can you expect from our Local Cleaning Company? 1. Selling Your Property? Save having to clean as you move, we can do “moving out clean” which will cover your whole house, flat or apartment. It is carried out after you, and your belongings have long gone. 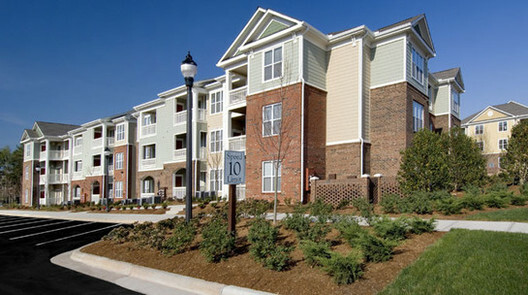 We leave the property sparkling for the next residents. 2. Moving in Clean. Begin your new life in a new home with a full deep clean of every area of the property, leaving it fresh and ready for you to begin the new chapter of your life. A thorough, environmentally safe clean can minimise allergy symptoms and will give you an anxiety-free relaxed move into your new home. 3. We provide a cleaning service for the elderly in Nottingham, giving them not only a special cleaning service at special discount cleaning rates, but also give them company during the day with a chat while we're cleaning. How's that for multi-tasking. We also provide a local cleaning service for care homes in Nottingham, and find that some of our staff have relatives in the homes which gives that added friendliness and community spirit. Services like this, and many more, make us one of the best cleaning agencies in Nottingham. 3. Handyman Services. A member of our team of cleaning team will be available to do all the little handyman jobs before your move. We can take care of the little fiddly jobs that can easily be sorted by us before you move in. When we are already at the property, it makes perfect sense. Click here to call Nottingham Cleaners. Our Cleaning Company in Notts are able to provide a superior cleaning service for all types of apartment blocks, student halls of residence and houses of multiple occupancy (HMO’s). We cater for elegant property cleaning management to Housing Association & local authority accommodation cleaning services. All communal areas will be regularly cleaned; giving tenants or students pride and respect for their environment. All our staff are thoroughly vetted, referenced and insured and all our work is fully guaranteed. Our cleaning service for rental properties in Nottingham is second to none. What can you expect from our Student Accommodation Cleaning Company? 1. Move-In & Move-Out Service. We can provide a move-in/out cleaning service or a regular cleaning service for all types of accommodation and buildings. 2. Thorough Cleaning. All the communal areas in your buildings will be left spotless, pleasantly smelling and appealing. This in turn will give the occupants more pride in their surroundings, leading them to treat the building with more respect. All carpets will be vacuumed, stair rails polished, entrance door glass cleaned. 3. Window Cleaning. We can also handle the entire window cleaning including the distinctive windows in many apartment buildings, all a part of our discounted contract cleaning services from one of the largest cleaning companies in Nottingham. 4. Apartment Cleaning Services in Nottingham. We provide a comprehensive list of cleaning duties for all rooms and apartments. If needed we can also deep-clean kitchen cupboards, ovens, fridges, baths, showers, leaving the property sparkling clean. Wooden flooring is a popular choice for many properties but caring for it can be expensive and challenging. 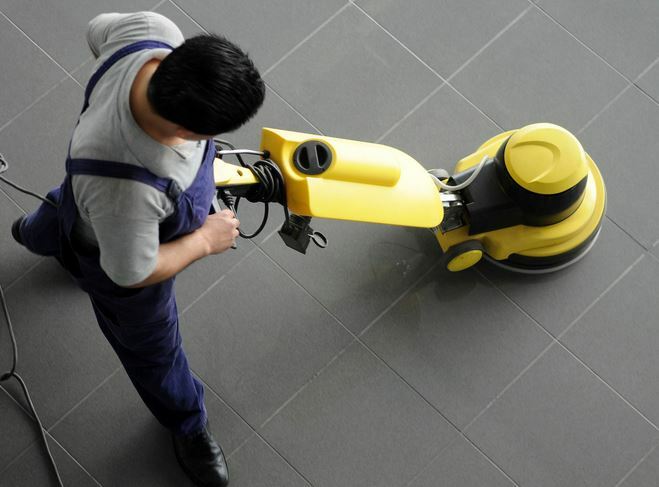 Our professionals have the cleaning experience and knowledge required to keep your floors looking at their best; as spick and span properties and immaculate floors give an excellent impression to your friends or customers. Hardwood floor cleaning and resealing will protect the surface and ensure your floor remains in tip-top condition. If left unprotected, you might find that the whole wooden floor will require restoring. We provide stripping, sanding, deep cleaning, oiling and polishing to many types of wood flooring. Our experienced cleaners are able to offer advice on how to best extend the life of your floor and can also advise on the best products for cleaning wooden flooring. We can build a maintenance plan to save on future expensive replacement costs. We also work closely with Tree Services Nottingham, cleaning up after their work. If you have a business that requires cleaning service give us a call. All of our Cleaning Services are Guaranteed. You Can Count On Our Notingham Cleaners, as we’re so confident that you’ll be delighted with all of our cleaning services. We’ll even guarantee our cleaning, just to show you how excellent we know our cleaning services are. We also believe in total customer satisfaction for the whole service package in all aspects. • The certainty of staff that have been through all of the necessary checks required. • A high-tech cleaning company that has the latest up to date cleaning technology, and machinery with all of the best cleaning solutions on the market. There's no way that we won’t make sure that you’re delighted with all our superior cleaning services. ​Now and again there might be small hiccups. If this ever happens we will guarantee to ensure it will be rectified and corrected, even if it takes overtime to make sure that you're happy, and everything is in order by the time we finish. Give us a call today on 0115 824 2700 to discuss your requirements with us. Or submit the quote form on the upper right for a Free Quote. If it’s needed we’ll be more than happy to send out an experienced supervisors to walk through your property with you to give you an accurate tailored quote and discuss any points, or little jobs that you may have. Try our cleaners in Nottingham with Reviews that are great. We cover the whole of the Nottingham area including Bulwell, Basford, Arnold, Mapperley, Burton Joyce, Mansfield, Papplewick, Ravenshead, Hucknall, Carlton, Colwick, Ruddington, Bingham, Wollaton, Beeston, Long Eaton, Eastwood West Bridgford, and all surrounding areas & villages.